In an era when megaships draw crowds with amusement park entertainment, I ? like so many others ? became intrigued with the idea of returning to an old-fashioned style of cruising which the recently launched cruise line, Voyages to Antiquity, promised to deliver. The concept is simple, yet fresh: an all-inclusive educational cruise with a laid-back atmosphere, where the true luxury can be found in ports of call. Even the ship’s name – the Aegean Odyssey can stir a dormant need to re-read the classic nautical tales, or turn the pages of a history book that’s been tucked away in a musty library. I had the opportunity to set sail on the “Pompeii is Something so Wonderful” voyage – the third cruise of the ship’s inaugural season. Despite my high hopes for this unique cruise line, after a few days at sea it became clear that Voyages to Antiquity was another example of an aggressive launch date that left the ship and crew unprepared to welcome passengers aboard. Before its debut, the Odyssey underwent a top-to-bottom, multi-million dollar refurbishment. However, many shipments did not arrive in time for its launch, so the ship is – quite literally – a work in progress. Once a 570-passenger vessel, Odyssey now carries a maximum of 380, giving guests plenty of space to roam (every three cabins were remodeled to become two). Parts of these spacious cabins sparkled from the refurbishment, like the wall-to-wall bathroom mirrors and countertops, while other areas felt like something was missing. From little details like a vase without flowers and champagne without ice, to greater problems like flooring mishaps and missing drapery, this “unfinished feeling” continued into the public rooms – where a sense of theme and matching décor were almost nonexistent. As the only vessel being operated by the new company, Odyssey spends its time during the summer months plying the waters of the Mediterranean, Aegean, and Adriatic (among others) on 14-night cruises. Although I only experienced five nights aboard, it gave me plenty of time to sample the cuisine. Breakfast and lunch were served buffet style in the Terrace Café and Grill on a beautiful outdoor patio, but the ship’s short dining schedule didn’t allow much time to linger and enjoy the view of Italy’s stunning coast, and the ship's exhaust clouds would often taint the scenery. The second venue, the Marco Polo, is a small-plates style restaurant offering lunch and dinner, where the waiter service can use some fine-tuning and the cuisine is unfortunately, forgettable. The Terrace Café fared better with traditional English breakfast, a fresh salad bar, and beef, chicken, and seafood kebabs grilled to order. As for dessert, the variety included crème caramel, almond parfaits, fruit tarts, and chocolate mousse cakes – but I usually preferred grabbing some pastries or gelato onshore (I was in Italy, after all, and the desserts onboard were subpar). The ship also offers room service, but after several attempts, I was unsuccessful at getting in contact with them. During my time aboard, a cruise director had yet to be anointed, which led to a lack of communication and confusion as passengers waited lengthy time periods for tenders to take them to shore. (The Aegean Odyssey now has both an experienced cruise director and hotel director.) Despite the wait, the excursions themselves were absolute gems. Robert, my tour guide for Pompeii, was very informative and entertaining as he described what life had been like for the citizens in 79 A.D., before Vesuvius erupted and left behind a well-preserved glimpse into the past buried beneath the ash. A canceled trip to Amalfi due to high swells and safety issues caused by out-of-date tenders left passengers disappointed and upset. The ship is being fitted with newer, larger tenders that might alleviate some of these safety issues; however the Odyssey’s itineraries will remain subject to change. After spending the morning on the ship, and following a chaotic disembarkation process, our tour led us to the ruins or Paestum, an ancient city left untouched in a thick swamp until it was uncovered in the 17th century. 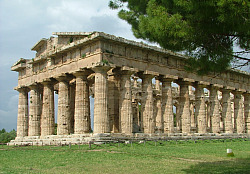 Paestum consists of three Doric Greek Temples that remain almost entirely as they had in 500 B.C. The area was later settled by the Romans, and an impressive amphitheater, forum, and baths remain intact. The symmetry and sheer size of the temples and Roman ruins made Paestum one of the highlights of the cruise. Back on the ship, Michael Higgins gave a lecture on Vesuvius as a precursor to the ship’s early morning passing of Stromboli, the active volcano in the Lipari Islands. 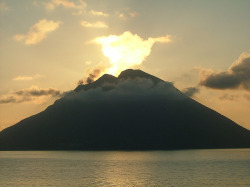 As if rewarding passengers for awaking before dawn (we had originally been scheduled to sail past the volcano the previous evening), right on cue, Stromboli sent a fire stream into the air followed by a mushroom cloud that dissipated as the sleepy sun rose over the Mediterranean. It was an awe-inspiring moment that some lucky passengers caught on camera. 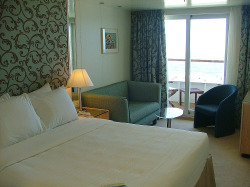 Although Voyages to Antiquity is still getting used to its “sea legs," the company is already planning ahead for 2011. 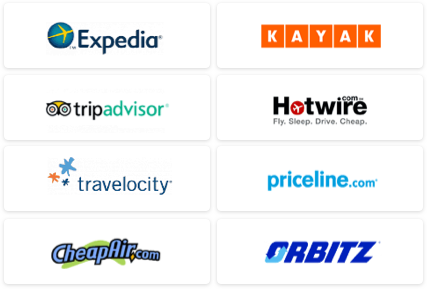 To help make the hefty price tag of $3,495 (or more) worthwhile, pre or post cruise packages will be included with every booking. While we can chalk up the cruise line’s rocky start to shipment delays from Greece and Iceland’s volcano eruption just before launch, the Aegean Odyssey should not have debuted until it was ready. A poorly trained and understaffed crew combined with an incomplete ship is the recipe for disappointed customers. Although many issues with the vessel have yet to be addressed, the line has already been making adjustments by extending meal times, upgrading menus, adding safety precautions, and training more crew members. 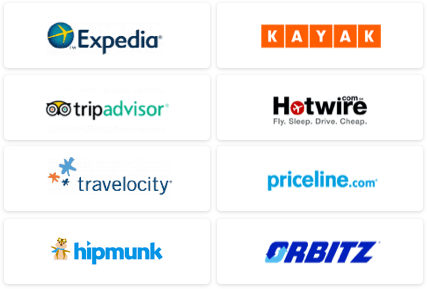 These changes, combined with the fascinating ports of call, will hopefully help to deliver the experience guests were promised. There’s still potential to make Voyages to Antiquity “something so wonderful" – as the tagline of its itinerary suggests.